Beginner fitness vacations are quite the commonplace in the present day. In the United States alone, the revenue collected from the tourism economy stood at $563 billion in 2015. This translates to a 14% growth up from the number in 2013. More people from all walks of life are knowledgeable about health matters than ever before. After all, why take a conventional vacation where you sit around all day eating oversized and unhealthy meals when you can actually take relax your mind and watch your health all at once? As you scour the internet for possible wellness vacation destinations, think of your comfort. Don’t fly if it is too uncomfortable for you. Avoid noisy resorts and those without a reliable WiFi connection if these things matter to you. Your success during a wellness vacation relies on your state of mind; steer clear from anything that will dampen your mood and demotivate you. Assuming you are going on a group vacation, you may want to be particular about the people you will hang around during the trip. Don’t settle for people who are lazy, annoying, full of complaints and argumentative. They will stress your guts out- a perfect recipe for fitness disaster. Strive to include people who are positive—people who are ready to uplift your spirit and take your fitness goals to the next level. The last thing you want is to have unhealthy food around you during a wellness vacation. Book a hotel or resort that will accommodate your health-conscious lifestyle. If you can’t find a hotel with healthy menus, settle for a cottage, condo, or a self-contained house where you can cook your meals. Beginner fitness vacations are popular now; you can join the group of bikers in your city or take an international hiking trip to Machu Picchu. Better still, you can register with a yoga center and head over to India with other like-minded people. Planning a fitness vacation doesn’t have to be stressful — at least not when you have your head in the game. The tips above will help you get a sense of direction and consequently have a better experience during the entire planning period. Anyone who wants to lose a significant amount of weight must have a number of things. For starters, they should have the right knowledge. Secondly, they must have time to engage in activities that will help them lose weight. Lastly, a person needs to have motivation to engage in weight-reducing activities. It is important to note that weightloss can never be instant. It is a gradual process that takes weeks, months or even years. It all depends on your approach. Therefore, fitness enthusiasts should prepare themselves to make long-term changes to achieve long-lasting weightloss results. Why Attend a Weight Loss Camp? Almost everyone wants to lose weight, but most people lack the time needed to exercise and prepare healthy meals. Others simply lack the necessary knowledge and motivation to lose weight. That is why weight loss camps in Canada are extremely helpful. After all, there are usually fitness and nutritional experts at these camps to advise, guide and motivate fitness enthusiasts to achieve the desired results. Exercise and healthy eating usually characterize these camps. Attendees are required to exercise for several hours each day and take meals that are low in carbohydrates to force the body to burn fat. The higher the calorie deficiency, the more the fat that will be burned by the body. There are also metabolism-boosting foods that fitness enthusiasts are given. This includes cayenne pepper and green tea. In addition to lifting weights and performing cardio workouts, attendees also engage in fun physical activities, such as biking, hiking, swimming and dancing. These are all meant to be fun as well as helpful in burning fat. As you can see, a weight loss camp may be exactly what you need to lose weight and gain a healthy physique. The ideal camp should not be costly, it must be affordable and have a lot to offer. After all, you do not want to go broke just to lose weight. Besides, there are many amazing and affordable programs out there, so you will not need to look far. The reputation of a program can tell you a lot about the kind of results you can expect. You want to go to a camp that has been successful in helping fitness enthusiasts lose weight in a safe manner. Therefore, you have to read reviews and check ratings before making a decision. Irritable Bowel Syndrome is a curse that is silently ruining the lives of millions. There is no known cause. It seems to come about out of the blue for some people while other can point to a specific instance that might have triggered it. They might have suffered from food poisoning or other kinds of stomach upset. Instead of completely healing, their symptoms came and went. It made socializing incredibly difficult as they could not predict when things will take the turn for the worst. The good news is that many have gone through these experiences and came out of it well. It is possible to take your life back after being hit by IBS. Begin by studying your own body. People often panic because they feel helpless when the symptoms suddenly manifest. It doesn’t help that stress triggers the most uncomfortable physical response. This may be easier to manage if you can decipher what exactly is happening. Maybe you don’t have to avoid food when you are outside the house. Perhaps only certain types of items trigger the problem. Make a daily food log with as much detail as you can. Note the times when you are, the kinds of food you consumed, and the amounts for each item. Write how your body reacted as well. You should soon notice some patterns. Eat the kinds of food that make your tummy feel better. Avoid those that stress sit out. This usually means cutting down on spices and dairy. Other food types may need to be excluded from your daily intake as well based on the results of your logs. Read up on IBS diet plans which were created by those who have gone through a similar experience. Maybe their tips will help you recover much faster. Slowly introduce the food items that they recommend while distancing yourself from the ones that they warn about. After a few weeks, you should know whether the plans are working or not. The problem with IBS is that it is not just physical. After a while, it begins to affect your mind and takes control of your decisions. You find yourself saying no to social invitations and even work opportunities because of your fears. The world can gradually shrink as you box yourself in. Built your confidence by making up personal challenges and completing them day after day. It could be as simple as walking farther than you ever had or eating at a place that you never tried before. You may also want to take up a sport or some other fitness activity to get more tuned to your body. Only accredited or certified personal trainers should be considered. As you commence your search, be sure to check whether or not a fitness expert is certified. After all, you want to work with a certified personal trainer in Sydney. Anyone who claims to be a fitness expert, but does not have any sort of certification to prove this is simply a quack. Be sure to eliminate professionals that are not certified from your list. All the professionals on your shortlist have different kinds of experiences. Therefore, you have to compare the experiences of different CPT’s to find the most experienced ones. You cannot hire a certified personal trainer with less than a year of experience as they still have a lot to learn. You want someone who has been in the industry for several years and has worked with hundreds, if not thousands of local residents in the recent past. Experience is an amazing teacher, so you can expect the best results when you hire an experienced CPT. The reputation of a personal training professional can tell you a lot about the quality of service they normally offer. You want a trainer with a great reputation in the industry as well as an amazing track record of helping clients to get the best results. Be sure to read reviews to learn more about the reputation of different professionals on your list. Be sure to also check how different CPT’s have been rated by previous clients. This will help you make an informed decision. Personal trainers usually charge different rates for their services. Therefore, you will need to request quotes from a number of firms and compare them to identify the most affordable personal trainers for your needs. Fortunately, competition has brought down rates, so you can easily find affordable personal training services. 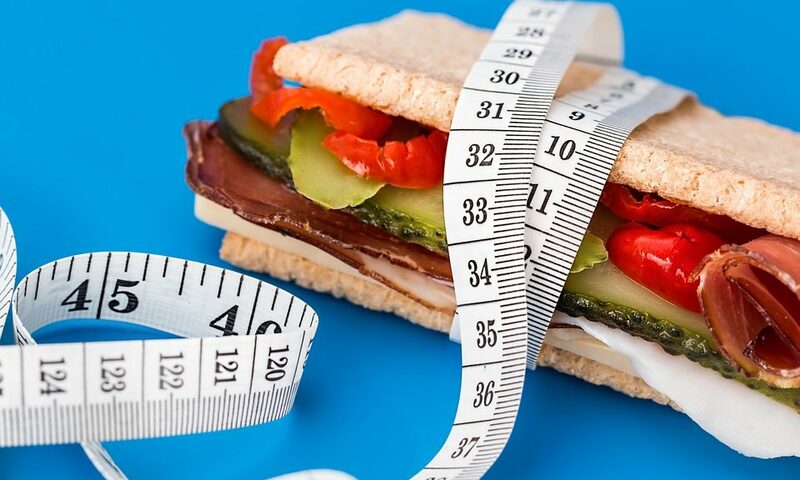 To take advantage of a weight loss camp, you must follow a proper diet that allows you to lose weight because the fat-burner alone will not help you. Indeed, as the most effective substances are stimulants, they can cause irritability, insomnia, headaches and even digestive disorders. They can also cause heart problems. Obviously, these kind of side effects are no longer present at high doses. That’s why it’s better to be vigilant. The dosages indicated on the bottles rarely take into account your body size and your sensitivity to the components. So always start with the lowest dose, then increase gradually. If you experience adverse effects, it is because you have surely reached your limit and it is better not to go further. Of course, it is totally inadvisable to exceed the maximum doses because these supplements can be dangerous. Also, avoid consuming caffeinated beverages during your fat burner, as the effects may be cumulative and problematic. Conclusion Fat-burner is not magic. On the other hand, they may be useful in some cases and if you already have a good diet. If you do not meet these conditions, they will not bring you much, aside from irritability and maybe a little more tone. Reserve these products at the end of your dry, when you have trouble losing more fat and you lack energy. They will give you a little boost for a short time, which will allow you to lose a little more fat before stopping your dryer. The main reason people don’t lose weight with cardio is that they don’t work at a high enough intensity or for as long as they should. In this case it sounds as if intensity is the problem, so crank up your heart rate by increasing your pace or resistance – or both. On a scale ofl (barely moving) to 10 (a flat-out sprint), aim to do most of your workouts at a 6 or 7. At this level, you’re breathing heavily but not gasping for air. Work up to it gradually if necessary. It you’re still not breathing hard, incorporate 30- to 60-second sprints every 2 to 5 minutes. Also, watch your diet. A lot of people tend to reward themselves for a good cardio workout by eating more, that can cancel out all the kilojoules you burn. As for getting toned, while cardio will burn fat, it usually won’t build a lot of muscle. To create some lean curves, do high-intensity total-body strength moves, such as combining squats and shoulder presses combo 2 or 3 times a week. Challenge yourself during weight loss camp and workouts and you’ll get very visible results. Why Get Resistance Band Sets? The bands are made from quality rubber so they are much lighter than metallic equipment. The resistance does not come from their weight but rather from the difficulty of stretching the material. The sets are comprised of bands with different thicknesses, densities, and widths. Some are easy to stretch out while others will require more force. They can be rolled up and squeezed into a bag when traveling. Since they only weigh a couple of ounces, they will not be much of a burden when going on a flight. Various types of exercises can be performed with the help of these bands. For example, they can be placed around the legs to work the abductors and adductors. They could also be wrapped around the arms and back for harder pushups. Sometimes, people use them for assistance when trying to learn how to do pull-ups. There are countless guides on how these can be utilized to target specific muscle groups. Once you have used them for a while, you may find yourself creating your own workouts depending on your needs. Exercise machines are good for isolating certain muscles because they usually allow movement in only one place of motion. They are valuable when strengthening your body after an injury. However, using them exclusively may hinder the development of other muscles groups. You want to work on the smaller supporting structures around your body as well. Bands are not as rigid so it is possible to explore different planes of motion and get a total body workout. Instead of just going forward and backward, left to right, or up and down, you can introduce a 45-degree angle or just move in natural way. The bulky machines in the gym as extremely expensive. That’s why you are only likely to see them in fitness centers. If you can find them on the second hand market, then you could consider adding them to your home gym. Those don’t have much funds for their fitness routine can simply purchase the bands and enjoy better workouts at home. There will be no need to sign up for a gym membership. In fact, one set may only cost a month’s worth of gym access. That is definitely a massive bargain. Working out is not easy. There is so much routine to follow and lots of precautions to take with what you eat. However, you could easily make fitness fun by signing up for aerial hoop dancing classes Caringbah. Fitness fads will tell you that working out should be dynamic. You need a combination of fitness routines and hitting of different muscles to realize tangible results. For starters, aerial hoop involves performing moves and techniques on a suspended piece of silk fabric or hula hoops. It requires strength, balance, control, flexibility, and the grace to master the art. It involves acrobatic movements that target different muscles without you realizing it. So instead of paying for multiple gym sessions that are likely to be painful, why not go for aerial hooping? As fun and easy as it looks, aerial hooping can actually be tough for a beginner. It demands a lot of flexibility, balance, and strength. Most aerial hooping classes start with stretching lessons before moving to the hard stuff. Be warned, the stretching sessions are rigorous and will leave you sweating. Nevertheless, they are designed to prepare your muscles and make the rest of the class easy. Some people may be required to sign up for specialized flexibility lessons to get their body more prepared. Beginners start with the low hanging hoops and work their way up. You will use a lot of your core, shoulders and arms. You begin to feel the intensity of the class when your muscles are left shaking at the end of each session. As your confidence in hooping grows, you start moving to higher hoops. The more you spend time at aerial hoop classes, the more you realize it is more than just dancing and fun. You have to work on your stability and overcome your fear of heights if you have any. Also, the first days of suspending yourself on an aerial hoop may feel uncomfortable. Your entire weight will be pulling on your hands, so you may develop sore palms on your first day of hooping. However, with time you will get used to it the feeling and grow to enjoy the lessons more. Aerial hoop classes engage every muscle in your body and also work on your mental well-being. You learn to be more patient and enduring as you go through every class and emerge stronger. Aerial hoop dancing classes Caringbah are designed for those people who want to have fun while working out their muscles. If you see no results on the treadmill, try suspending yourself on a hoop and watch all your muscles go to work. Are you looking to lose weight? If so, then consider using supplements formulated to help people lose weight. There are many benefits of using weight loss supplements, and some of these benefits will be discussed throughout the rest of this article. We’ll also provide you with tips to help you choose the right supplements. The main benefit of using a supplement is you will lose weight. Sure, there are many other factors that will determine how much weighty you lose; However, a high quality supplement will help you lose some weight. Here’s a tip, if you want to shed as many pounds as possible, then take a supplement, eat right and exercise. If you exercise, use a supplement and eat healthy, then the results will come quick. In fact, you could end up losing weight within the first week or two of starting a supplement. Before you know it, you’ll get the results you’ve always desired. Another benefit is having more energy. A lot of supplements contain ingredients that will provide you with an energy boost. If you feel sluggish and tired throughout the day, then the right weight loss supplement might be the solution. Other benefits include increasing stamina levels, endurance and focus. You will find yourself more motivated than you’ve been in a longtime when you start getting results from the supplement you use. You really want to choose a supplement that is made with high quality ingredients. By doing this, you’ll reduce your chances of suffering from unwanted side effects. Not only that, but high quality ingredients means the supplement will be more effective. Also, read reviews. The best supplements will have plenty of good reviews written about them. The more positive reviews about a supplement, the better. Furthermore, make sure you choose a supplement that has been tested for safety. You can purchase supplements on the internet or in retail stores. They are widely available, but not all supplements for weight loss are created equal. This is why you want to compare a few products before settled on the one you want to try. If you shop for supplements online, then all you have to do is add the one/ones you like to your virtual shopping cart. Pay for them via whatever payment method is available and then wait for your product to arrive. It’s as easy as that. So, what are you waiting for? Keep the above tips in mind and start shopping around for weight loss supplements that you think will work the best. As much as yoga pants are not the first items on many people’s lists of things to sew, making these wardrobe practical wears is just as rewarding as sewing fancy party dresses. Yoga is essential in helping with stresses of children, work, or school for the modern woman. The best workout exercises require yoga jogger pants that fit right, and there is no better way to ensure this than making your own. This guide will help you create impressive, long lasting yoga pieces. Determine the size of your old, fitting pants to know the measurements you will use to create your new yoga clothing. Find a jogger pant pattern you like and get the fabric required to achieve it. It doesn’t matter whether you utilize old clothes or buy a new material, as long as your choice is either synthetic or cotton, which are the best fabrics for yoga pants. Once you have the chosen fabric, wash, and iron it prior to sewing the new yoga jogger pants. These will prevent shrinkage that occurs after washing newly sewn yoga pants. Turn your old pants inside out to see the seams clearly. Stick one of the yoga pants’ legs inside the other. Fold your fabric to create two layers before placing it on a table. Place the pants (folded) onto your folded fabric and trace the old pants’ outline onto the fabric using marking chalk. Create two front pieces by cutting out the fabric where marked. Flip your old pants and place it on the back section of the fabric. By using the aforementioned process, cut out two back pieces. Sew top right corners of the two back pieces and the two front pieces to create one back piece and one front piece. Create your new pants by sewing inseams of the front and back piece together. To keep your new pants in place, sew the right fitting waistband onto the yoga pants edges. Making new jogger pants is not as hard at it seems. By using the above guide, you can create yoga pants that are not only comfortable to use but that will also serve you for long. Endurance athletes require not only tremendous amounts of aerobic endurance but also a steady supply of energy. For long-term energy, muscle uses oxidative energy systems. In these systems, oxygen is used to oxidize long-chain fatty acids, protein and glucose – all nutrients that generate energy. You should divide up your caloric intake to match the demands of your training and Anytime Fitness Costs. It shows the target percentages of fat, protein and carbohydrates that your 5/6 meals per day should supply. While body fat is the primary source of energy during prolonged aerobic activity, it cannot be used efficiently unless some glycogen remains in the muscles and liver. Therefore, endurance athletes must ensure they replenish their glycogen stores. As an endurance athlete, you need to encourage glycogen sparing while stimulating the use of fat as your primary energy source. Train for endurance regularly. This stimulates increased storage of both glycogen and fatty acids. Consume a carefully measured amount of high-quality carbohydrates several times a day to ensure an adequate supply of energy. This also keeps your blood sugar level stable throughout the day. All athletes need to consume high-quality protein for effective recovery and adequate repair of damaged muscle tissue. Do not load on dietary fat. Contrary to the popular belief that large amounts of fat benefit endurance athletes, excess fats can lead to frequent urination with the resultant loss of essential minerals. Do not consume food or high caloric beverages from 2 hours before an event to 15 minutes before. These can cause excessive insulin release leading to early onset of fatigue. Consume carbohydrates directly before and during an endurance event. Exercise slows the release of insulin into the bloodstream, and therefore the ingestion of a carbohydrate drink, such as staminade, spares glycogen and allows the use of fat for energy. During the event, drink plenty of water. Endurance activities cause excessive sweating with the resultant loss of valuable fluid and minerals. Dehydration affects both your performance and your health. Drink a beverage like staminade, which contains electrolytes. This electrolyte replenishment formula also helps to replace minerals that are lost through sweating when training Anytime Fitness gyms in Texas. 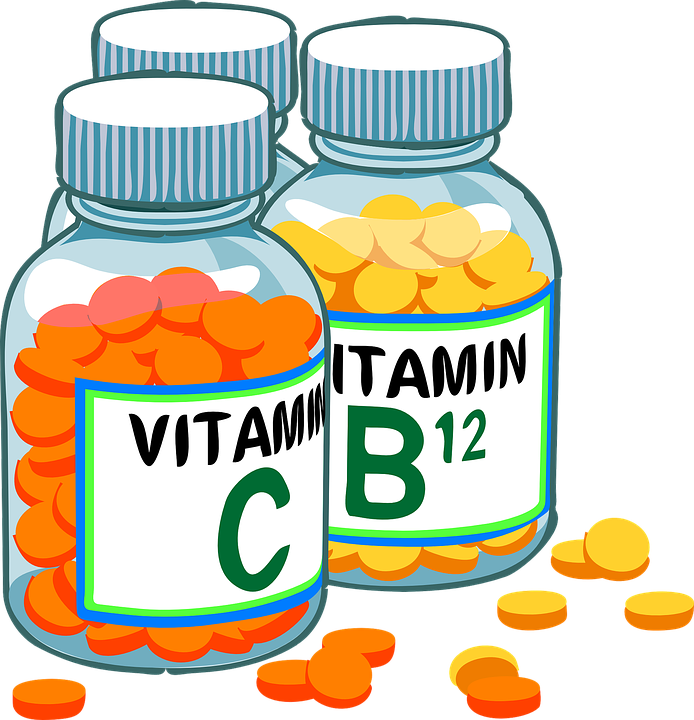 In addition to eating a proper diet, you should also take dietary supplements in the form of a high potency multi-vitamin and a high quality protein supplement, which is required for muscle repair. The emphasis on protein for an athlete has shifted with time from quantity to quality. Increasing protein intake at the expense of carbs can be a bad strategy for athletes engaged in heavy training because without sufficient carbohydrate the body simply switches to other fuels for energy and amino acids are catabolized from muscle tissue as a source of energy leading to excessive muscle breakdown.